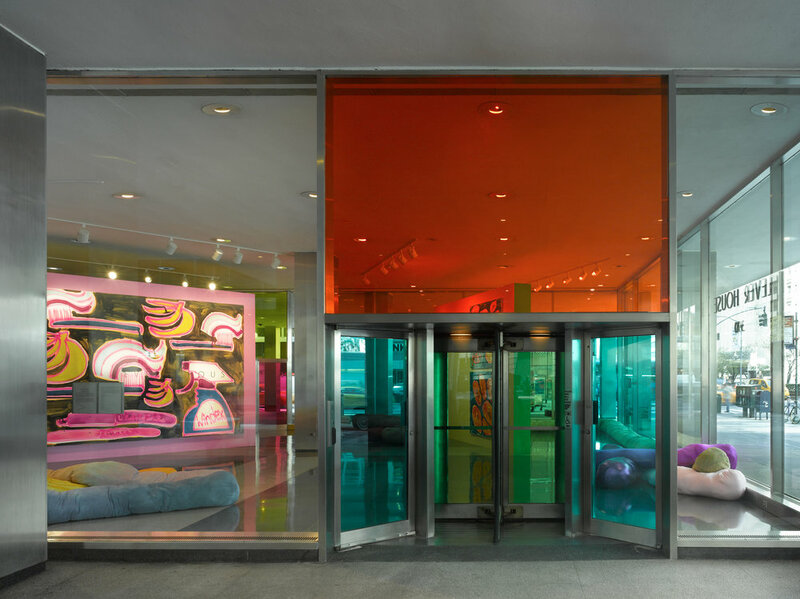 The Lever House Art Collection presents CONCRETE JUNGLE JUNGLE LOVE, a site-specific installation by New York based artist Katherine Bernhardt (b. 1975). 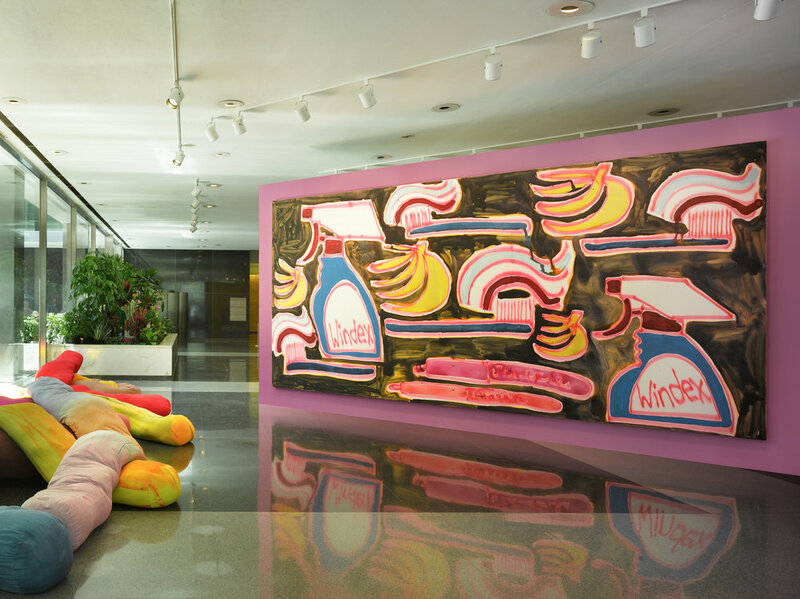 The explosively colorful exhibition playfully fuses imagery and objects of modern culture with that of the tropics. 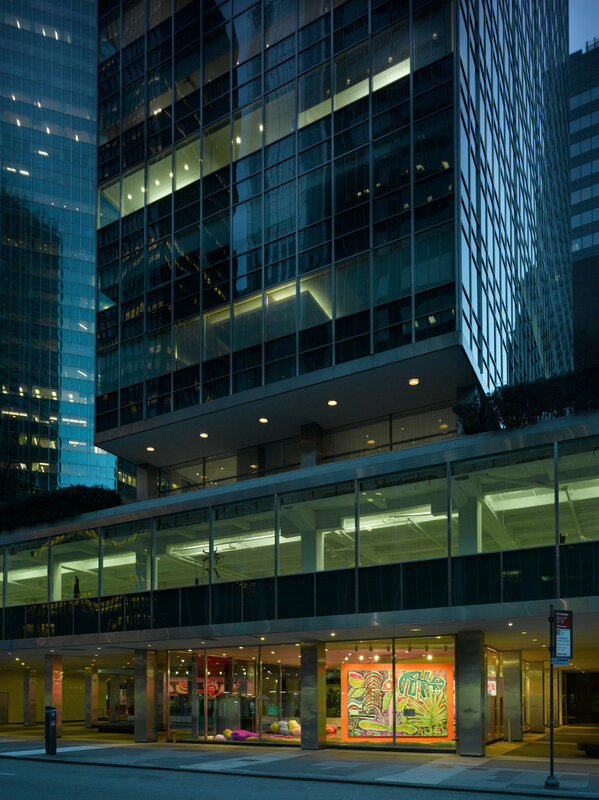 The commission witnesses Bernhardt's first departure from canvas, pulling motifs out of her paintings and giving audiences a unique three-dimensional experience of her work. 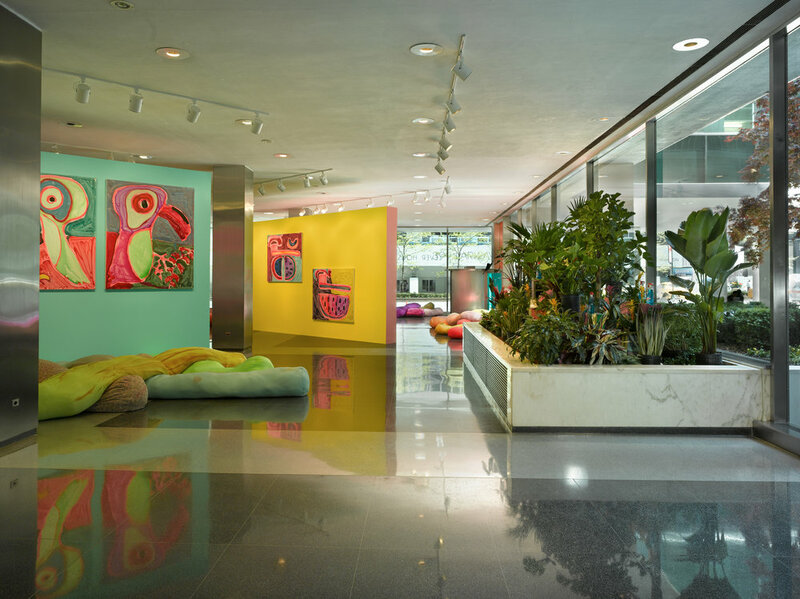 A combination of acrylic and spray paint canvases, dyed interactive soft sculptures, and a concrete block plant installation, the show's multi-medium elements serve as a whimsical juxtaposition to the modernist architecture of the space.